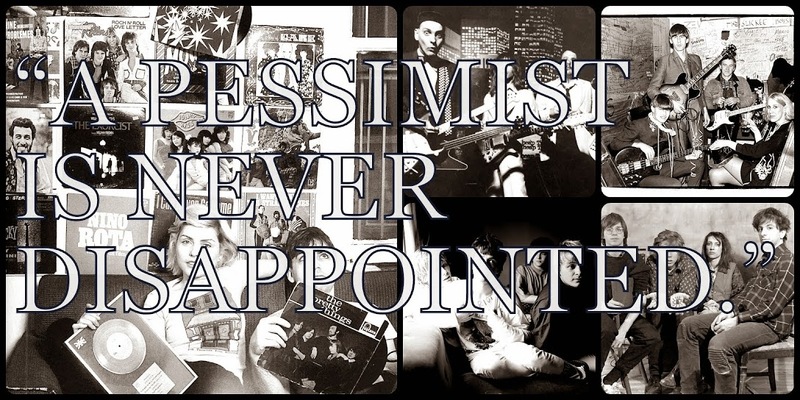 A Pessimist Is Never Disappointed: Play Rare Live Cut From Rites Of Spring Here! I spent far, far too much time buying British import CDs in the 1980s than I should have. How did I work at 3 record stores in a college town and ignore/miss or downright turn up my nose at the Dischord revolution occurring around me? In those days, there was almost too much talk of Dischord in D.C., to the point that it seemed like the only bands in D.C. were those bands. 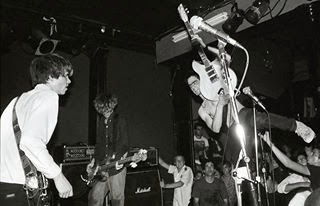 It was only near the end of the 1980s that I finally loosened up and got into Fugazi, a band which contained 2 members of the seminal Rites of Spring. This cut -- with its early U2-ish guitar intro -- is from a concert at the University of Maryland's radio station, WMUC, and you can find and download the whole concert elsewhere on the web. 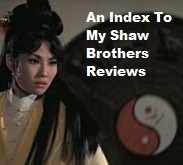 I'm just going to share this one with you today. 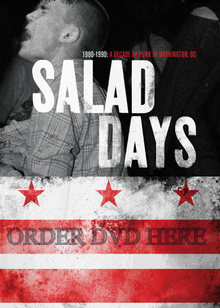 Check out the Salad Days Facebook page for details on the film documentary on the D.C. scene.